If you are tired with the endless fad diets and have lost hope in finding that all-elusive health regime to lose weight and get fit, you need to stop trying too hard. Simply get sensible and don’t shun the essential vitamins and minerals that are ignored in the instant-fat-loss methods. Invest in healthier foods and keep a tab on your sugar and processed food intake. 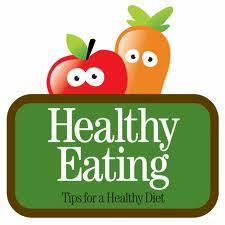 A few more basic and doable nutrition tips and you are on the fast road to meeting a healthier you on the other side. Try to find a fine balance between hunger and fullness when you eat. Once you aren’t hungry anymore take that as a clear signal to stop eating. Don’t wait up to feel overtly full. Continuing to eat will only make you feel more uncomfortable apart from the baggage of guilt and tummy trouble. Those extra bites are good at only making you feel worse. Try to break the excessive emotional bonding with food. Remember it is merely an energy source for your body. Ask yourself whether you really need what you’re planning to put into your mouth. This habit will let you consciously choose foods that deliver prolonged energy. Also, try to keep a safe distance from sugar as its just instant glucose and its immediate absence makes you crave for more. This cycle results in the release of insulin promoting brain fogginess and fatigue. Fill your grocery bags with fruits, beans, vegetables and lean meat. Stay away from processed foods and sugar laden snacks. You might want to reconsider those white potatoes as well. Educate yourself about which produce contains the maximum amount of pesticides. If buying organic foods on a daily basis is an expensive affair, simply wash your vegetables and fruits well. Frozen food is the next best thing to fresh produce. Stay away from packaged and canned foods as they are high on preservatives. Artificial sweeteners like Splenda are found in abundance in sugar-free products and diet sodas. They are nothing but toxins as they slow down the body’s metabolism. Drink lots and lots of water. Measure your morning cereals in smaller coffee mugs and do away with oversized cups and plates. Chew slowly and if you are at a restaurant try splitting your meal with your partner. Cut your food in half and ask the waiter to box up the other half for another meal. Think of nutrition as a marathon and not a sprint. You can’t make the flabs disappear overnight no matter how promising the fad diet is. It takes a minimum of two weeks to turn the consistent change into a habit. Pick 2-3 tips to start with. Review your weekly performance and evaluate areas that demand improvement.